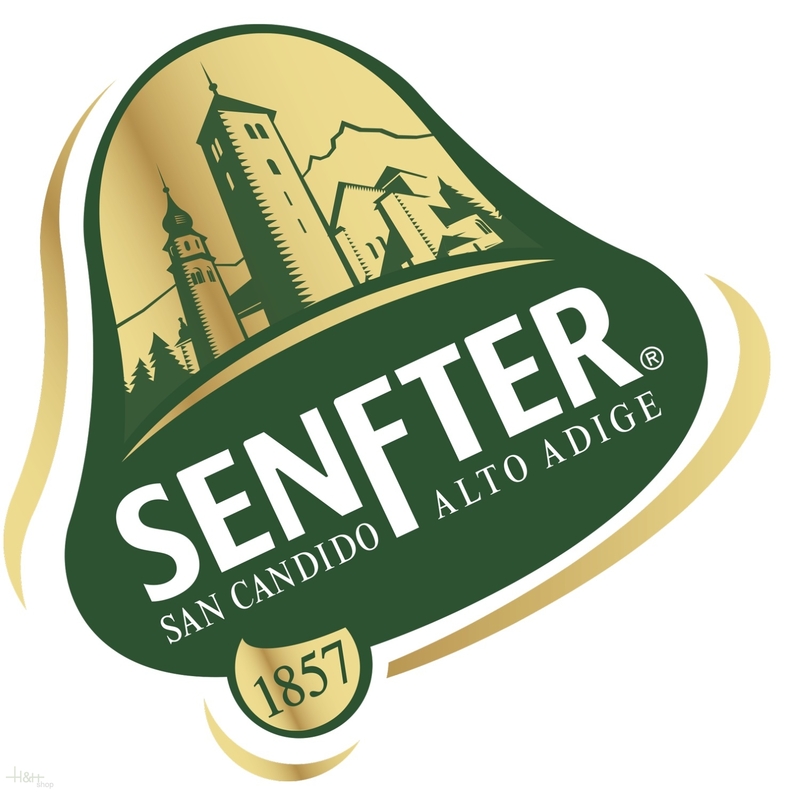 The centuries old traditional production in the land of the Sextner Dolomites makes the South Tyrolean bacon (smoked ham) quite a particular speciality. 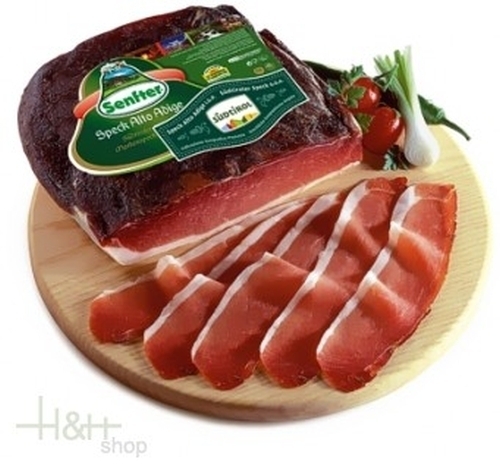 With a ripening period of at least 22 weeks the South Tyrolean bacon speck Senfter is a special taste experience and example of high-class quality and processing the house Senfter. By the steady rectangular portion and a weight of approx. 1.2 kg he is optimum for the budgetary consumption. Buy now this product together with Farmer's Shoulder Bacon South Tyrolean farm bacon Steiner approx. 600 gr. ready for shipment: in stock Farmer's Shoulder Bacon South Tyrolean farm bacon Steiner approx. 600 gr. Very tasty, intense, rich aroma. Need some time to expose for full taste. Very good taste - should have taken 4kg at once! Very tasty, intense, rich aroma. Need some time to expose fo ..